Circa 1895. 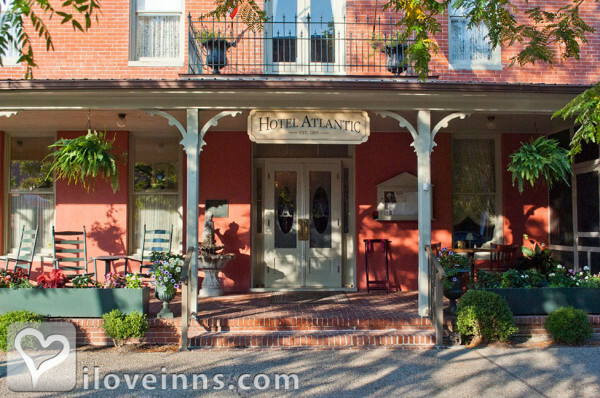 The Atlantic Hotel offers a large front porch filled with rocking chairs and the Atlantic Hotel Bistro Cafe for lunch and dinners. There is outdoor dining in season. 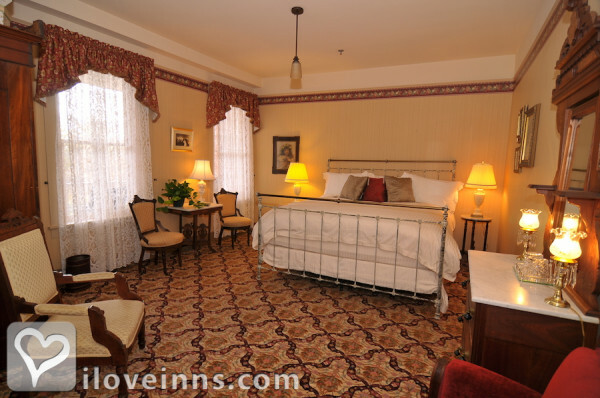 Rooms include feather bed toppers, robes, and free WiFi. There's an elevator. The inn is in the center of Berlin's Historic and Arts and Entertainment District. It's been called one of America's Coolest Small Towns and there is an abundance of festivals and attractions. The hotel is popular for beautiful weddings and small conferences. Horse & carriage rides and special occasion packages add to the experience.Location: Ocean Community, City/Urban and Historic Town HIstoric & Arts & Entertainment Dist. Payment types accepted include American Express, Master Card, Visa, Travelers Checks and Discover. 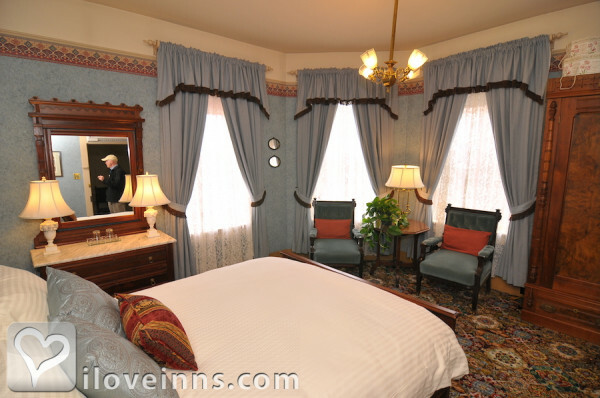 Rooms: This property has 17 total guest accommodations with private bath, 1 suite, 1 cottage and 2 conference rooms. Cancellation: Cancellation Policy 72 hours prior to arrival date. Types of meals: Lunch, Dinner, Wine, Hors d'oeuvres, Banquet Service, Restaurant on Premises, Sunday Brunch, Early Coffee/Tea, Full Bar. Wines by the glass.Craft Beers. 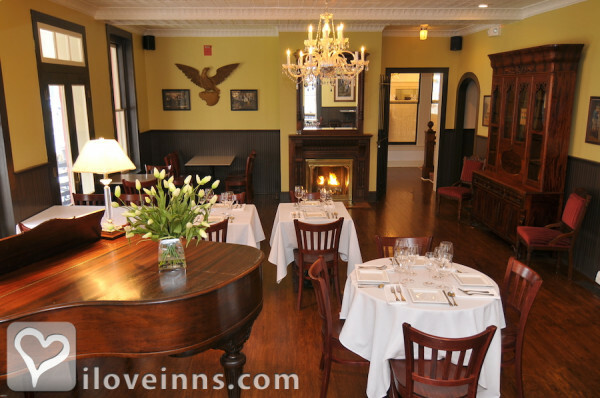 Full Menu of Appetizers, Lite Fare items, Dinner Entrees, Sunday Brunch items along with Lunch, and Children's Menu. Outside dining in season on screened-in porch or in front courtyard. Amenities In Room: Coffeemaker, Elevator in Building, Iron/Ironing Board, Fireplace, Air Conditioning, Hair Dryer, Telephone, Heating, Television, Restaurant, Bathrobes, Cable TV, Bath Amenities and Wireless Internet Access. Amenities On Site: Handicap Access, Fax, Suitable for Events, Bicycles and Free parking on premise. Events Hosted: Family Reunions, Seminars, Meetings, Weddings, Honeymoons, Romantic Getaways and Social Events up to 100 people. Other Activities: Amusement Park, Horseback Riding, Museums, Parks, Shopping (Local Crafts), Water Sports, Hiking, Golf, Fishing, Canoeing/Kayaking, Birdwatching, Bicycling, Beaches, Art Galleries, Antiquing, Assateague National Seashore (wild horse preserve) Festivals starting in May thru October and again in December with Old Fashioned Christmas month. 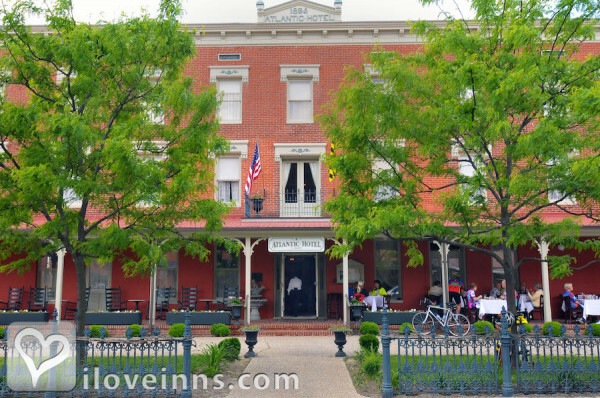 Built in 1895; located in Historic District in Berlin, MD Hotel has been restored in Victorian decor. 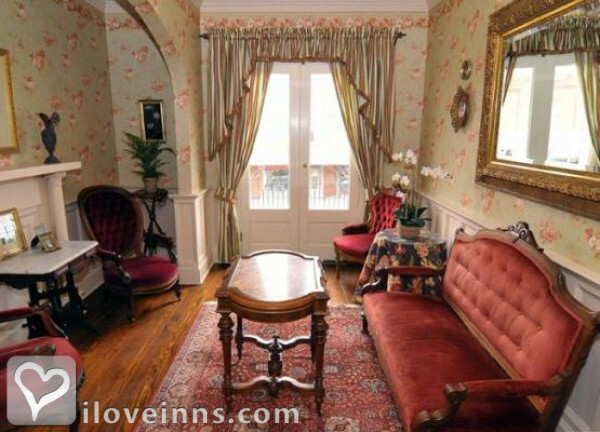 Hotel guest rooms and public spaces are decorated in authentic antiques. A history of the hotel has been written and is part of h what we share with our guests. Tours of the hotel and available guest rooms are available thru out the year given by our Front Desk Personnel who relates the history of the hotel during the tour. Historic photos grace our walls in the public and guest room areas. . Historic Awards: State Historical Site (Applied) and State Historical Site (Granted). It is small, intimate, cozy and very private. There are small tables for two for romantic dining inside and outside in season. The setting is an easy one where you can walk around the entire town and shop, have an afternoon coffee or a real milkshake, or a late afternoon glass of wine at a wine bar. You are given the privacy you wish when visiting.